Many people are turning to the Lotus Wellness Center in Palatine, IL for counseling in their time of need. It is all too common for people to experience some challenges or conflict at some point in their lives or in their relationships. It will be up to you to determine how you plan to manage it. While some people choose to avoid facing their problem, others realize that they can overcome their hurdles by facing these challenges head on with the help of a Palatine, Illinois counseling office. In the past, seeking therapy was viewed as taboo. Luckily, as mental health has become a focus in the lives of many, seeing a counselor has become much more widely accepted. However, there are still many misconceptions about therapy that go around. These misconceptions can prevent some people from seeking the help they need. The experienced team of counselors at the Lotus Wellness Center are here to talk through any misconceptions in order to help you feel comfortable with our Palatine, IL counseling. Below, you will find more information on signs it’s time to see a counselor, myths regarding therapy, and how practicing mindfulness can prepare you for your sessions. If you are questioning whether it is time to get help from a counselor, you may be wondering if there are any obvious signs in your life pointing to this. Sign #1. You are Overwhelmed/Stressed/Anxious. It’s true that almost everyone experiences some period in their lives where they have feelings of anxiety or they feel overwhelmed by work, school, family, or other events in their life. Even positive events in your life—like a wedding or a vacation—may lead to feelings of anxiety. However, when your stress and anxiety seem to stay much longer than you had anticipated and you are struggling with how to cope, you may begin making poor decisions and it may even lead you to become depressed. Sign #2. You Recently Went Through Some Type of Trauma. A recent trauma or hard life- event can be incredibly difficult for anyone to cope with. This may be a death in the family, an injury, or even your parents getting divorced. Whatever your situation is, you may not know which coping mechanisms work best for you and it may impact your relationships with other people and having a positive outlook on your future. Sign #3. You Are not Getting Satisfaction in Your Relationships. While it is completely normal to experience some level of frustration in your personal or work relationships, constant dissatisfaction or disappointment in people may be a sign that it is time to explore your relationship expectations. Counseling can help you develop realistic expectations in your relationships as well as help you with your communication skills. Sign #4. You Were Having Some Bad Days That Turned Into Weeks or Months. Everyone has a bad day that may even stretch into a string of bad days. However, if you feel like you are in an endless cycle of bad days and you aren’t sure how to cope or you are turning to bad habits to help you cope (like smoking or drinking), seeking help from a counselor at a Palatine, Illinois counseling center may be a good option when trying to learn the coping skills that are right for you. One of the saddest parts of life is dealing with the loss of a loved one. Everyone handles grief differently. Despite all the information available, the truth is that there is no right way or wrong way to grieve. Most people are able to eventually work through their grief, however, there are also many others who struggle to get through this time. It is not uncommon for someone to seek the help of a counseling Palatine, IL residents trust to help them work through their feelings of loss. If you have lost someone and are struggling, please contact Lotus Wellness Center to find out how we can help. In the meantime, the following are a few feelings that you may find yourself dealing with and some ways that may make this time a little easier. When we lose someone close to us, it can change our lives dramatically. It can change our priorities in life and the things we feel are meaningful. This may make it difficult for you to relate to the people in your life on the same level you did before your loss. You may find that you get angry at times when your friends try to comfort you because you feel they don’t really understand how you are feeling. It is okay to let your friends know that you appreciate their words, but that you may just need time to yourself sometimes while you work through your grief. Many people who are grieving find their feelings can suddenly go from one extreme to another. There may even be times that you feel no grief or sadness at all. This may compound things because feelings of guilt may creep in because you think you should feel sadness all the time or else you are being disloyal to your loved one who has died. But all of these feelings are normal. It’s the way our minds deal with all of these emotions that grief brings. As you process through these feelings, they will become less and less intense. Although many believe there are five stages to working through grief – disbelief, yearning, anger, depression, and acceptance – it is rare for a person to go through these feelings in that order. The time a person needs to grieve is different for everyone. It is not uncommon for a person to think that they have finally moved on and worked through their grief to acceptance, only to find is suddenly come rushing back. Know that this is normal, and it is important to allow those feelings to be felt. No matter how deep your grief is and how long it is lasting, it is important for you to share these feelings with family and friends to help alleviate some of your pain. It can also be helpful to talk get counseling in Palatine, IL from Lotus Wellness Center to help work through your grief. Many people hold off on getting therapy because they think they can’t afford it. However, therapy can be more affordable than you think. In addition, think about the money you spend on superficial items that help you feel good temporarily, such as clothes, fancy dinners, and jewelry. If you started to spend less money on these types of items, you may have more money leftover for counseling. By speaking with the qualified counseling team at our Palatine, Illinois office, we can help you find the root of your struggles to help you save money in the long run. Another misconception about therapy is that it’s only designed for people with debilitating psychological issues, such as schizophrenia or bipolar disorder. While our Palatine, IL counseling is definitely beneficial for people with serious psychological problems, it’s also helpful for those just dealing with the stresses of everyday life. For example, if you just lost someone close to you or are dealing with a painful breakup, talking to a therapist can help. While talking about your feeling with a close friend can be comforting, it isn’t the same as talking to a professional therapist. Our licensed therapist has the education and training to treat people with a wide range of emotional and behavioral issues through counseling at our Palatine, IL office. In addition, a therapist won’t just tell you what you want to hear. Unlike friends who may sugarcoat things, a therapist will tell you the truth and give you advice on how to get better. Unfortunately, some people are afraid to go to therapy because they think they will be viewed as weak. The truth is, however, that seeking therapy is anything but weak. Asking for counseling from our Palatine, IL therapists requires a lot of strength. It means that you realize you have a problem and are taking the necessary steps to rectify it. Many people still have the notion that therapy doesn’t have an ending point. They’re afraid that if they start therapy, they’ll be stuck in it forever. However, therapists are trained on how to create targeted treatment plans for their patients. That’s why the majority of people finish their therapy sessions in only several months. There isn’t a magical pill that will fix every type of psychological issue. The emotional stress people endure from things like job loss, death and divorce can’t be solved by taking a pill. 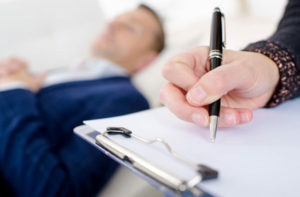 Talking to a skilled therapist is more effective in these cases. Now that you understand some common myths about therapy, read on about how you can begin practicing mindfulness. Mindfulness is the practice of the mind in being fully present in your surroundings. Through this process, you are being intentional and aware of your actions, behavior, feelings, and observations. When a person is mindful, they are taking in the world around them and recognizing issues that may arise, without having a big, overt response to what may be going on before them. Perhaps one of the best examples of mindfulness is through the practice of meditation. Through this practice, you can increase your ability to be aware of your surroundings without causing added stress or becoming overwhelmed with things you have no control over. There are a number of advantages to infusing the practice of mindfulness into your daily life. Decreases the stress you may be carrying with you. Helps you be more thoughtful with yourself and others. Allows for you to have awareness around what is happening around you. Allows for you to improve upon your ability to self-regulate your emotions. Allows your anxiety levels to decrease and as a result, you will be able to think more clearly. A lowered blood pressure and heart rate. This could decrease your odds of experiencing a heart attack. Your overall mental health could also improve through this practice. One important aspect of mindfulness allows for you to be present and in the moment. Mindfulness can also prove beneficial during the time that you and your partner engage in couple’s therapy if you are seeking that type of counseling in Palatine, IL. In fact, mindfulness will be a skill that you will practice in your relationship for years to come. Throughout this practice, you will be able to look inward to yourself in order to notice your body and how it is responding depending on the situation you are in. This will be important when it comes to the connection you have with yourself and your partner. It will also be important for you to notice how they are responding as well. It will allow for you to observe the moment you are in with your partner. Mindfulness can give you the ability to respond to your partner respectfully, not reactively when in the face of conflict. Through this practice, you will be able to positively communicate and learn to be less defensive with your partner. As you can see, there are all sorts of myths about therapy and ways you can prepare for therapy and use it daily. There are many stigmas attached with seeking help from a mental health counselor. Unfortunately, these stigmas can discourage many people from getting the help they need. However, if you are feeling like you aren’t quite yourself lately or if you recently went through some type of trauma or negative life event, then it may be time for you to get the help you need from a counselor. If you are dealing with an emotional or behavioral issue, don’t hesitate to schedule an appointment for counseling in Palatine, IL with the trusted team of counselors at the Lotus Wellness Center.